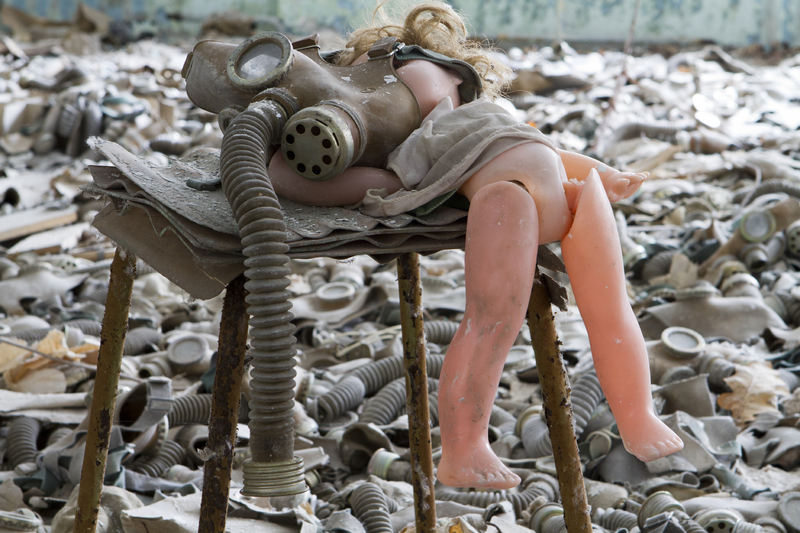 While Chernobyl has been by far the most serious nuclear accident in history and has probably put the brakes on nuclear power development worldwide more than any other event, this anniversary is a good time to assess how meaningful those lessons might be. 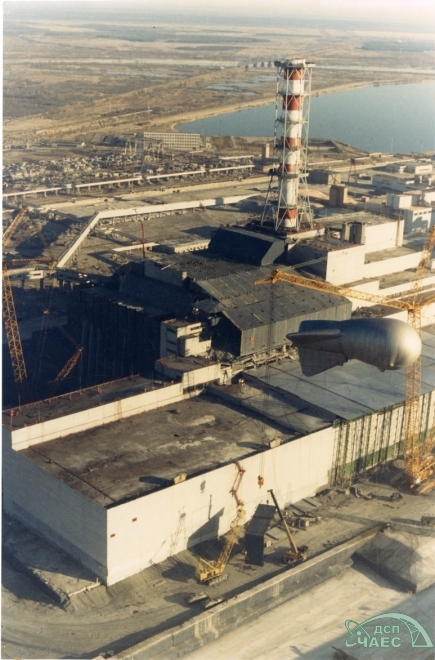 The decision to build Chernobyl was ill conceived; the design was faulty; its construction was botched (since the plant was opened without full testing of important design features); its management was flawed; and the execution of the critical tests, that were the immediate cause of the disaster, were ill advised. The accident itself was initially denied; the blame was misplaced; show trials were held; and the guilt felt by a senior scientist was so great that it led to his suicide just two years later. There have been exaggerated reports that have both overstated and understated the impact on the lives of people in the former Soviet Union and in Europe. After 30 years, there is some clarity on these numbers, but they remain controversial. Today, we still struggle to unravel the origins of the disaster and the magnitude of the mendacity. 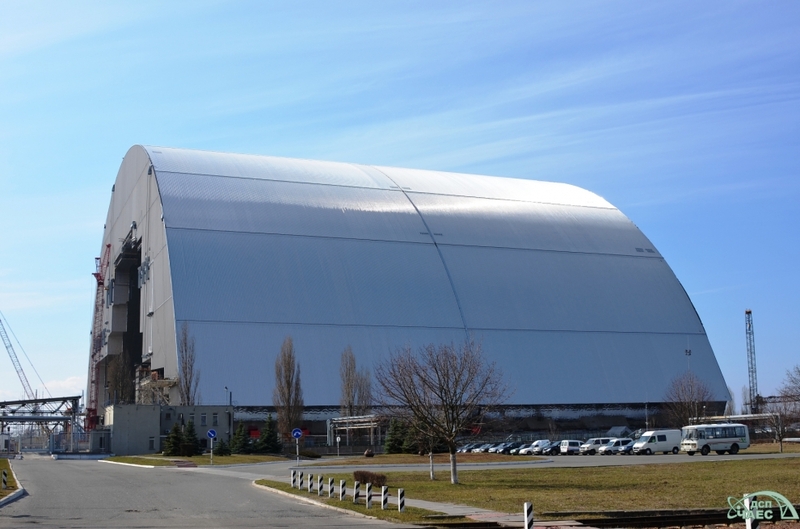 The history of Chernobyl is a bizarre anomaly which offers few lessons for the future directions of nuclear energy, but much that is instructive about the need for openness and an absolute requirement for a culture of safety. The smoldering remains of Reactor 4 are being covered with a huge airtight enclosure that we hope will protect society for at least the next 100 years. This enclosure, which is often referred to as a “sarcophagus,” is an international effort costing more than one and one-half billion euros and that is so large, it could encapsulate the soccer stadium of Paris. But while the physical remains of reactor 4 can be shielded from view, we still confront, in plain sight, eleven similar reactors that are operating in the Russian Federation. There are several of this model that were closed since 1986, including two in Lithuania that were taken out of operation at the insistence of the European Union that would not allow the accession of Lithuania into the EU unless that were accomplished. While the eleven that are still operating have been modified to improve their safety, it is doubtful that they would pass current operating standards. We call upon Russia to work with the IAEA to carefully evaluate the status of these reactors. Edward A. Friedman is the Professor Emeritus of Technology Management at Stevens Institute of Technology. His undergraduate and doctorate degrees in Physics are from MIT (1957) and Columbia University (1963), respectively. He has had a long time interest in nuclear weapons issues. In recent years he has developed new courses that deal with nuclear weapons in international affairs and the threat of nuclear terrorism. His career has included development of a computer intensive educational environment at Stevens, which in 1982, became the first college in the United States to require all students to own a computer. He played a key role in a U.S. government program to develop an indigenous college of engineering in Afghanistan, where he was director from 1970-1973. From 1988 thru 2004, he pioneered in the use of Internet resources in teaching mathematics and science in primary and secondary schools. From 2004 thru 2008, he worked with the United Nations Development Program on computer assisted medical diagnoses at rural clinics in Africa. Dr. Friedman received the national education medal from King Zaher Shah of Afghanistan and an Honorary Doctorate of Mathematics from Sofia University in Bulgaria. He was also awarded the New Jersey State Albert Einstein Medal for educational leadership. As we consider America’s actions to counter climate change, one fact stands out: Our largest solutions to power plant pollution are going broke. Clean alternatives to fossil fueled electric generators are under pressure from low natural gas prices. Power prices are so low that four nuclear plants have recently announced that they will close. Other new technologies can’t make a profit either. These low power prices do not take into account the costs of pollution. The National Academies report The Hidden Cost of Energy estimates that the costs of pollution from power plants (without considering costs related to climate change) should add just under 20% to the price of power. Economists favor that solution since it would allow markets to operate efficiently. We can’t bring ourselves to do that in the United States. Instead, we adopt strategies such as renewable portfolio standards (RPS) to reduce pollution. The trouble is that “low pollution” and “renewable” are not synonyms. America generates 32% of its power from low polluting generators, only 6% of which is from sources that qualify under an RPS. The remaining clean 24% of our electric generation is in trouble. We are closing nuclear plants that generate as much electricity as all the wind plants in Texas; in fact, as much as all the wind installed in the USA in the past three years. Even new hydroelectric projects can’t make money in this market. And development of advanced pollution capture technology for fossil fuel plants and other innovative generators is largely moribund since investors see no reward. Fortunately, there is a practical solution. We can broaden the RPS concept to be a low pollution portfolio standard, sometimes called a capacity portfolio standard. Such a standard would allow all low-pollution sources to qualify. New York’s Governor Cuomo is considering a similar step. New York, Pennsylvania, and many other states should act now to support all low pollution sources of electricity by requiring that a large fraction of electricity come from such sources by a date certain. For years, models of the electric power system have shown that the price of power is greatly increased whenever policy choices are artificially restricted. The President’s “all of the above” strategy acknowledges this. But restricting ourselves to only certain types of low pollution generators through an RPS does not. Economists call the cost of such restrictions a shadow price. And the effects are large: if the portfolio of pollution reduction options is restricted, the wholesale electricity price will be much higher than if a full portfolio is used. How much higher? Models by the Electric Power Research Institute show that limiting the portfolio can result in prices doubling over the next generation compared to the same pollution reduction with all clean sources allowed. If we restrict ourselves to the few sources of low polluting power that are allowed under renewable portfolio standards, there is a real danger that we will quickly price ourselves out of clean energy. We are now making a modest pollution reduction through RPSs, including reducing greenhouse gases a little. But that will likely not be the least expensive way of making the big reductions we need. If we were to rely only on ever-increasing RPS targets, we would run into two main problems. First, some areas of the country simply don’t have bountiful renewable resources. But those same regions would be fertile ground for other technologies. Second, a truly large-scale power system based on only wind and solar would be much more expensive than one based on a full portfolio of low polluting generators. Money saved on fuel would not be nearly enough to offset the additional cost of transmission lines, storage, and the additional turbines and solar plants that are necessary to compensate for the fact that the wind doesn’t blow nor the sun shine as often as other plants are able to run. A combination of renewable and other low-pollution generators will achieve a given target for reducing conventional and greenhouse gas pollution at significantly lower cost than renewables alone. By putting all clean power sources on the same footing, we can gain the benefits of reducing pollution at the lowest cost. A low pollution capacity standard would save middle-class jobs. Forbes reports that the average worker at the Fitzpatrick nuclear plant in New York earns a bit over $100,000 annually. At the Kemper carbon dioxide capture plant in Mississippi, over 6,000 workers were employed in construction, and the plant will generate more than $40 million annually in local tax revenues. Wind and solar power are big business now, and good for them! But we can’t forget that innovating to zero pollution requires that all entrants be given a chance. With a shift from renewable portfolio standards to low pollution capacity standards, we can correct the failure of the market to price pollution at the lowest cost. Pennsylvania, New York, and other states (such as Illinois) have nuclear plants closing due to bargain-basement power prices that don’t account for costs of conventional or greenhouse gas pollution. Those states should lead the way in adopting broader standards that encourage all low pollution generators. Jay Apt is a Professor at Carnegie Mellon University’s Tepper School of Business and in the CMU Department of Engineering and Public Policy. He is the Co-Director of the Carnegie Mellon Electricity Industry Center and Director of the RenewElec (renewable electricity) project. He has authored more than 100 papers in peer-reviewed scientific journals as well as two books and several book chapters. He has published op-ed pieces in the Wall Street Journal, the New York Times and the Washington Post. Professor Apt received an A.B. in physics from Harvard College in 1971 and a Ph.D. in physics from the Massachusetts Institute of Technology in 1976. He is a Fellow of the American Association for the Advancement of Science. He received the NASA Distinguished Service Medal in 1997 and the Metcalf Lifetime Achievement Award for significant contributions to engineering in 2002. In 2006, the world finally surpassed an enormous benchmark: the consumption of one cubic mile of oil each year. That’s equivalent to 1.1. trillion gallons or 26 billion barrels of oil. The Federation of American Scientists has just released its latest tool to improve energy efficiency, sustainability, healthfulness, and safety in the affordable housing market. In cooperation with six Habitat for Humanity affiliates from all over the U.S. and experts at the Florida Solar Energy Center (FSEC), Pacific Northwest National Laboratory (PNNL), and Lawrence Berkeley National Laboratory (LBL), FAS has created The High Performance Building Guide for Habitat for Humanity Affiliates. Funded by the Building Technologies Program at the U.S. Department of Energy, the goal of this Guide is to provide Habitat’s construction partners (called affiliates) with the knowledge, resources, and basic background to make educated decisions about improving their building practices, materials and technology choices, and decision-making and planning processes. Targeted to the needs of the Habitat for Humanity building community, this Guide features profiles and case studies of excellent Habitat affiliates, practical recommendations and steps for improving building practices and decisions, and guidance on obtaining the partners, education, and resources necessary to make the transition to higher performing housing. Get the High Performance Building Guide on the FAS website here. To learn more about the Guide and to read a synopsis of its contents, check out the new Earth Systems Program blog. Because a kilowatt saved is a penny earned. Actually, the average cost of 1 KW of electricity in the US as of September 2009 was 12.6¢. And while this figure doesn’t seem very large, all those cents add up when you consider that an average household consumes more than 34,000 KWH of electricity annually, including about 1200 KWH/Year to run each refrigerator and even more to run a plasma screen TV. And when you add in the natural gas, fuel oil, kerosene, and wood used to heat houses, run hot water tanks, and operate ovens and other appliances, that’s even more energy consumed and more ways for you to begin cutting your energy costs. In celebration of National Cut Your Energy Costs Day, which is Sunday, January 10th, FAS has provided a brief list of easy steps you can take to cut your energy use, energy costs, and carbon footprint. While this list is by no means comprehensive, use it as a starting point to think about how you can begin cutting your energy consumption today, this month, and over this coming year. Why not make your New Years resolution to consume less energy in your home? And as you implement this resolution, we welcome your input into the best ways you have found to reduce your energy consumption and costs. -Set your thermostat down to 55 degrees or less at night and when you’re away from the house. – Caulk and weatherstrip around windows and door that have gaps or where the seam is not adequately sealed. You can also use a removable caulk to seal windows that you will use in the summer—when the weather warms up, you can just peel off the strip of caulk. -Reduce “vampire power” in your house by unplugging appliances and electronics when not in use (especially electronics that stay in “stand by” mode such as TVs and computer). -Visit the Home Energy Saver, an online do-it-yourself energy audit tool that offers advice on how to save energy in your home. Find it at: http://hes.lbl.gov/hes/. -Upgrade to an Energy Star-rated programmable thermostat if you don’t have one. Many local utilities and governments will provide and install a free programmable thermostat or will offer a subsidy or tax credits for installing one. -Have a blower door test done to see where your house is leaking energy. Many utility companies and some local/municipal governments will offer free or subsidized blower door tests. -Based on the results of your blower door test, add and/or upgrade your house’s insulation. Insulating around your ducts, in your attic, and in the basement or crawlspace especially is both highly effective and low in cost. -If it’s time to upgrade your HVAC system, hot water heater, major appliances, or roof, look for Energy Star certified products, which can be found at: www.energystar.gov. Note that not all Energy Star products are equal and make sure you compare to find those products with the greatest efficiency and lowest operating cost. Don’t forget to look for state and local tax credits! Over the opening days of the Copenhagen Climate Negotiations, which began this Monday, each country has been asked to consider how it can contribute to the 25-40% carbon emission reductions climate scientists believe to be necessary to keep climate change below the 2C mark. Key issues at stake for the 170 nations represented include commitments to national and international carbon reduction emissions, financing of clean technologies and carbon emission reductions, and technology transfer to non-industrialized nations. Leading up to the Copenhagen climate summit, deforestation has been primary focus of discussion as deforestation accounts for one-fifth of global carbon emissions and halting deforestation involves large financial investment, but no fundamental consumer behavior changes. And with a Reducing Emissions from Deforestation and Degradation (REDD) agreement, developed nations would pay developing countries to not cut down their rainforests by treating the standing forest as a valuable commodity. Such an agreement, if properly financed and implemented, will be necessary to meet global carbon emissions goals and avoid the numerous ecosystem and climate hazards associated with deforestation. However, in order to meet national greenhouse gas abatement goals and make the economic and structural changes necessary to avoid or mitigate large-scale climate change consequences, industrialized countries must reduce both their total energy consumption and energy intensity. Consuming 40% of all energy in the US and Europe and 30-40% worldwide, the building sector is one of the least energy efficient sectors and one in which efficiency investment has been generally highly fragmented, relying n the US on individual owners to finance energy efficiency new construction and retrofits. Yet for many countries, especially the US and the European nations, cutting buildings sector consumption is not only essential to meeting these goals, but is also one of the most cost effective energy saving measures available (see the table from McKinsey, below). Furthermore, analysis by the World Business Council for Sustainable Development (WBCSD) indicates that market-driven reform can reduce building energy use by 60% by 2050, but will require a concerted and immediate effort on the part of industry, government, code and standard making bodies, and labor in order to achieve. Looking at energy use in the residential sector as a case study, according to the 2005 Residential Energy Consumption Survey 59% of houses in the US were built before 1980 and in the vast majority of cases have not been substantively renovated or retrofitted. These hugely inefficient houses feature little or no insulation in the attics, walls, and foundations, inefficient HVAC systems, leaky ducts, poor air sealing, outdated windows and doors, and are often expensive to operate due to high energy waste rates, especially during peak heating and cooling periods. US households spend on average just over $1800 annually on house energy consumption, with over 40% of that energy consumed in maintaining thermal comfort through space heating and air conditioning. However, energy consumption reductions of up to 50% have been proved cost effective in both the retrofit and new housing market by focusing on insulating and air sealing to reduce heating and cooling costs. In the retrofit market, the efficacy of energy efficiency retrofits in decreasing annual operating costs of a building through energy savings is supported by analysis of the DOE Weatherization Assistance Program. Independent reports conclude that for every $1 spent to weatherize a house (up to $5000 under the current program), the occupants save $1.67 in utility costs, a savings achieved through measures such as adding insulation, air sealing, installing airtight doors and windows, and occasionally upgrading HVAC equipment and ducts. The US Federal Government has begun to address the need for improved energy efficiency in the building sector through legislation in areas such as: investments in weatherization (the American Recovery and Reinvestment Act of 2009), commercial and residential energy efficiency tax credits (among others, the Energy Improvement and Extension Act of 2008), federally backed energy efficient mortgages, and setting energy use goals and standards for federal buildings (the Energy Policy Act of 2005 and Executive Order 13423 of 2009). However, all current US energy legislation will save only a fraction of President Obama’s recently announced target of 17% energy savings by 2020. My comparison, the European Commission has just tentatively approved an “Energy Performance of Buildings Directive,” which mandates that all new construction be “near zero energy”; this directive is estimated to have the potential to reduce the EU’s greenhouse gas emissions by 70% of their energy savings target of 20% by 2020. In order to fulfill any promises that are made at Copenhagen over the coming days and weeks, the US will need to set an ambitious buildings energy efficiency target akin to that approved by the European Commission. This target must be supported by both public and private action and investment, including: government legislation, incentives, and workforce training; private sector financial investment and the development of a strong, competitive, energy efficiency market; technological innovation both from industry and the national labs; and the rapid development and deployment of high performing building energy codes and standards. You can meet up with friends, go shopping for high fashion clothing, browse through a fanciful New York City, and build your dream house. You can also participate in your company’s annual conference, practice patient care in an O.R., and attend a lecture by a Harvard professor. All in the Second Life virtual world. And recently added to that list of activities to do in Second Life is: learn how to inspect a home built from structural insulated panels (SIPs), an advanced, energy efficient building system. But why construct a building inspector training module in Second Life? Both the American Clean Energy and Security Act of 2009 and in the American Recovery and Reinvestment Act of 2009 set aside billions for energy efficiency and energy savings programs and green industries. A key aspect of these bills is the creation of “green” jobs and training workers to fill these positions, with a strong emphasis on existing home weatherization and retrofits. After all, the building sector in the United States currently use more energy and more electricity than any other sector, and much of this energy is lost to inefficient structures with a leaky thermal envelope and poor (or no) insulation. Substantively reducing energy demand therefore requires a combination of constructing more energy efficient, sustainable new buildings and performing deep retrofits on existing buildings. Doing so will save money at both the household and national levels and will decrease our nation’s carbon emissions from energy. The federal government has appropriated money to advance the state of energy efficient housing technologies and subsidize retrofits and new construction projects. However, neither retrofits nor new construction can take place without a well-trained workforce of architects, engineers, building professionals, tradesmen, and code officials who know how to design, built, and inspect energy efficient structures. At present, many industry professionals have no experience with or training in how to properly utilize advanced building technologies and materials and this lack of training and experience has proven to be a huge barrier to their adoption. And so in order to transition the building industry into a more efficient and sustainable sector, tools and programs must be rapidly developed to train industry professionals in energy efficiency theories and practical applications. In order to train workers effectively within a short period of time, the tools must be virtually based to eliminate geographical restrictions, they must be interactive and engaging to enable learning, and they must be able to simulate scenarios and situations in the real world, promote collaboration between students and instructors, and provide the means by which to learn through problem solving and independent exploration. And at the present time, one of the only tools available that fulfills all of these requirements is virtual world technology. To assess the utility of virtual worlds to building industry training, the Federation of American Scientists Building Technologies Program has created a pilot training module for building inspectors that utilizes the Second Life virtual world and web-based tools. This module educates building inspectors about how to inspect houses constructed with structural insulated panels (SIPs). In this interactive virtual environment, building inspectors can investigate structural and architectural details, interact with animated models, click on details to obtain descriptions, CAD Images, and drawings of the detail, watch a presentation, and take a self-assessment of knowledge gained. Through these features, users learn about the importance of energy efficiency and how to achieve a tight building envelope, constructability and code compliance issues commonly found in SIP construction, and information about SIPs themselves. While not a fully functional pilot, initial feedback indicates that virtual worlds are indeed valuable training tools, especially when coupled with an independent web-based learning module. By combining classroom learning with field-based learning scenarios, virtual world training improves comprehension of classroom material and shortens the in-field learning curve, thereby speeding up the training process. And due to its web-based nature, virtual world training can allow students to be trained in areas of the country where there are few trainers or certified professionals. As such, FAS recommends further development of virtual training modules as a solution to the need to train workers for a more energy efficient building sector. To read the Building Technology Program’s report to Lawrence Berkeley National Lab on the training, click here. To visit the building inspector training module in Second Life, teleport to: 142, 18, 27. In the ongoing efforts to reduce our nation’s carbon output by improving the energy efficiency of our built environment, a new old idea is shaping up to be a key player: cool roofs. Used throughout the Mediterranean and tropical climates worldwide, the solar reflectance value (albedo) of a white or light-colored roof has been long understood—the more sunlight the roof reflects, the less the building absorbs and the easier it is to keep the building cool. A recent report by Hashem Akbari, Surabi Menon and Art Rosenfeld titled, “Global Cooling: Effect of Urban Albedo on Global Temperature”, quantifies cool roofs’ potential impact on improving energy efficiency and slowing climate change. The report notes that painting 100 feet2 of black roof a lighter color offsets the extra heating caused by 1 metric ton of CO2 in the atmosphere. Scaled up to the national level, converting dark-colored roofs and pavements in urban areas around the world to lighter colors would offset the extra heating caused by 44 billion metric tons of CO2in the atmosphere, effectively offsetting over 6 years of the U.S.’s CO2 equivalent greenhouse gas output and saving the country over $1 billion per year in energy costs. Clearly, cool roofs are a big deal. But from a building technology perspective, just painting the roof a lighter color isn’t enough, since the lighter color only solves half of the cool roof equation. Calculating the coolness of a roof requires measuring both solar reflectance (the fraction of solar energy reflected by the roof) and thermal emittance (the measure of a roof’s ability to radiate absorbed heat as infrared light); the most useful method available for calculating roof coolness is the solar reflective index (SRI). This index utilizes both factors to generate a 1-100 SRI rating, where 100 indicates a roof with perfect solar reflectance and thermal emittance. The higher the SRI, the cooler a roof will be, even in full sunlight on a hot day. Much like the HERS index for whole house energy efficiency, this rating index is essential to meeting the goal of retrofitting and constructing new buildings with cool roofs. Without a scientifically sound method to rate the cooling properties of various roofing materials, consumers cannot make educated decisions and the maximum cooling benefits cannot be harnessed. And while many current cool roof materials apply the latest and most advanced technologies, from spray polyurethane foam systems to brightly-colored tiles that reflect infrared energy, our historic understanding of the relationship between color and solar reflectance retains its preeminent importance. Lighter roofing materials keep buildings cooler than darker materials, yielding more energy efficient structures that have a lower carbon footprint and are less expensive to operate.